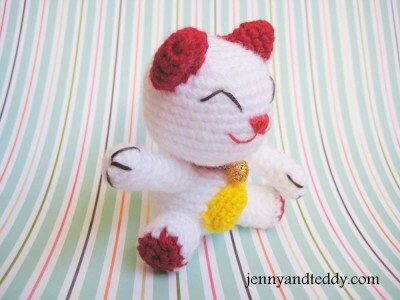 Look at this cute amigurumi cat! Everyone called him “Lucky” because he love to bring happyness to every place he stayed. He have a big smile with very shiny face. So let’s grab a crochet hook and jump in! 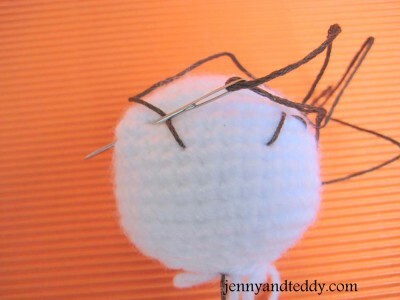 And stuffing polyester firmly .Then make face and a nose. Finish of leave long tail for sewing and stuffing polyester firmly. Then finish of leave long tail for sewing and do not stuffing polyester in the ears . And finish of leave long tail for sewing. 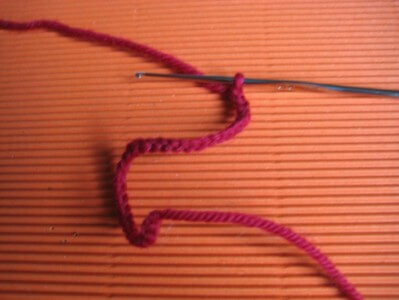 Ch 15 or length to fit your lucky cat neck, do not join yet. Add decorative button, ribbon etc. do not stuffing polyester in . so that lucky cat is in a sitting position. 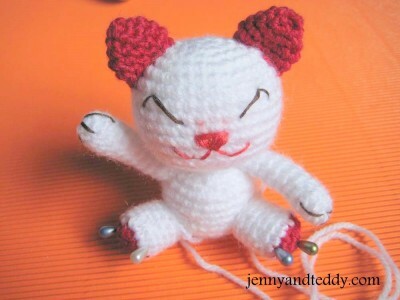 Get this cute amigurumi cat in pdf pattern with easy to follow step by step photo tutorial. 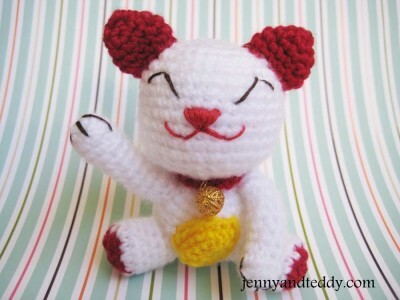 I love Lucky Cat! Just wish I knew how to crochet. He looks like the cat that got the cream :o) Pinning!